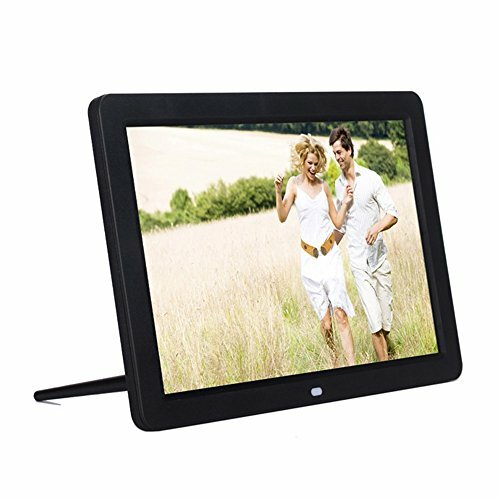 Bring you back to the most happy moment - Supports various picture formats, video formats and music formats. Showing your happiness moment in different way. Lets your romantic moment last forever - the romantic moments last and stay with you. Ideal decoration for your lovely home - the frame can be placed on the desk or hang on the wall. Adds a warm and romantic sight in your house. Perfect gifts for your love, the Newlyweds, grandmother and grandfather, new home gifts and lovely family. When meet the display is not clear problems, please change another higher pixel of picture or video over 1280X800, such as pixel: 1440X900, then the display will be clear. 2. Please feel free to contact us if customer have any usage problems, we will try our best to resolve them. Other functions - Clock/Timer Switch.14 language choices.Great gift for a family.Let the warm,honey,happy and romantic moments last forever. [Note]：1.When meet the display is not clear problems, please change another higher pixel of picture or video over 1280X800, such as pixel: 1440X900, then the display will be clear.